Christina, a 36 year-old cleaner, won an incredible €90 MILLION ($137,000,000) with just her 2nd bet ever with Lottoland. Choosing 5 numbers from 1-50 and 2 further numbers from 1-10, Christina won the maximum jackpot after effortlessly placing a bet on her phone. Little did she know that she would soon be winning the world’s largest ever payout for a bet made online. 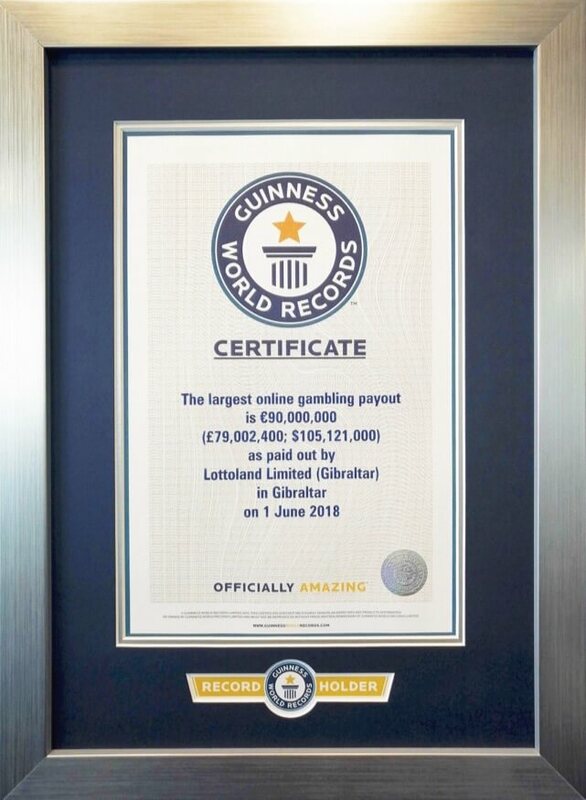 Adhering to the highest standards of adjudication, Guinness World Records™ asked us how Christina placed her bet, how we were able to guarantee such an enormous payout, and most importantly, confirmed that Christina had been paid every cent of her unbelievable jackpot! 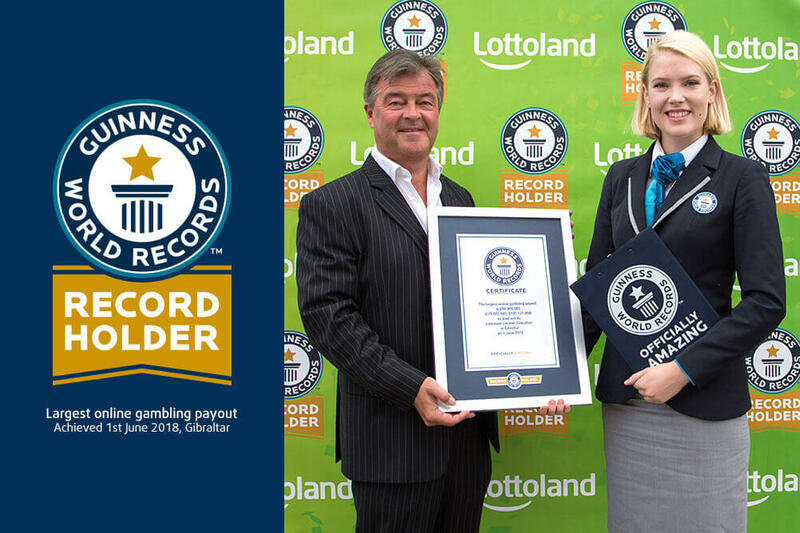 Could you be our next Guinness World Record™ title holder? We’re definitely looking for one! With Jackpot Betting there are even bigger jackpots available at Lottoland almost every day, so we don’t think it’ll be long before one of our customers will be breaking this record!